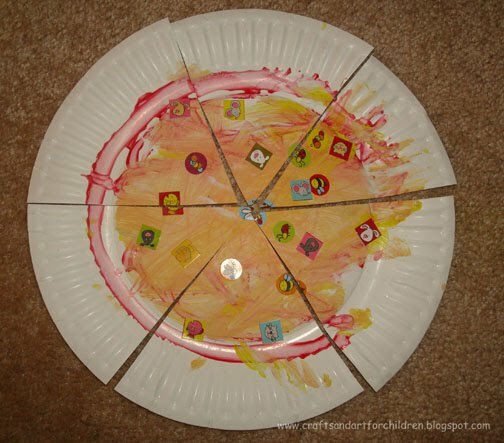 We made this Paper Plate Pizza Craft yesterday to get ready for the Pizza Party we were attending today. To start off with, he colored on the pizza sauce with red marker. Then, I gave him white and yellow paint to spread cheese on top of the sauce. When it dried, he placed little stickers all over (the toppings). 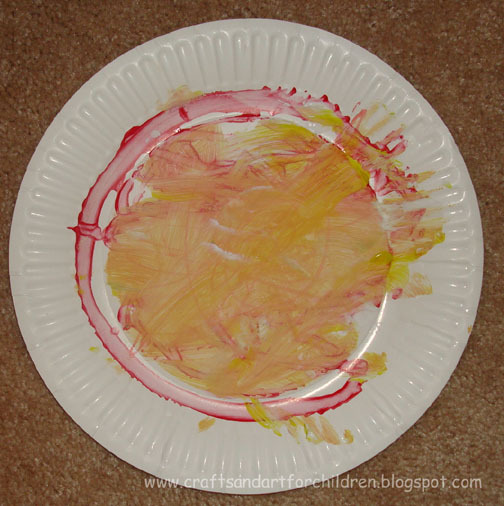 I cut it into 6 slices and he yelled “Pizza…mmm, good!” and then put the paper plate pizza slice in his mouth- thankfully the paint is non-toxic. 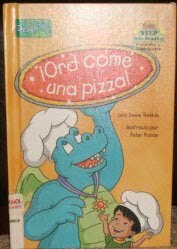 My husband also read him this Spanish Book about making a pizza with the characters from the cartoon Dragon Tales. It called Ord come una pizza by Irene Trimble. 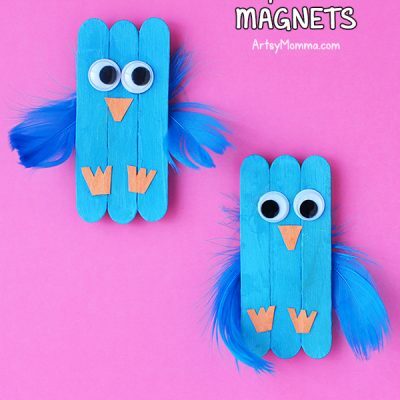 oh my goodness – so simple &amp; so creative! I love this idea! Very clever! 🙂 I love your blog! What a fun project. I think I would have tried to eat the pizza, too. *lol* And that looks like a great book. 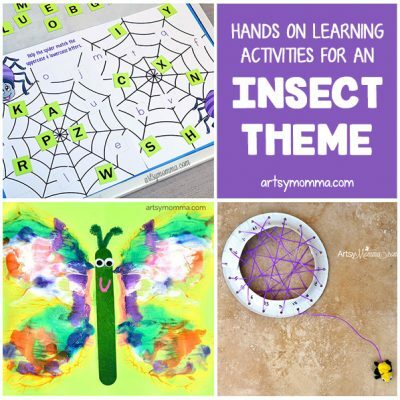 Fun activity! We checked out that book from the library too and Diego loved it! Great idea! Looks like it was a lot of fun! Wow – that&#39;s a great idea. How fun!